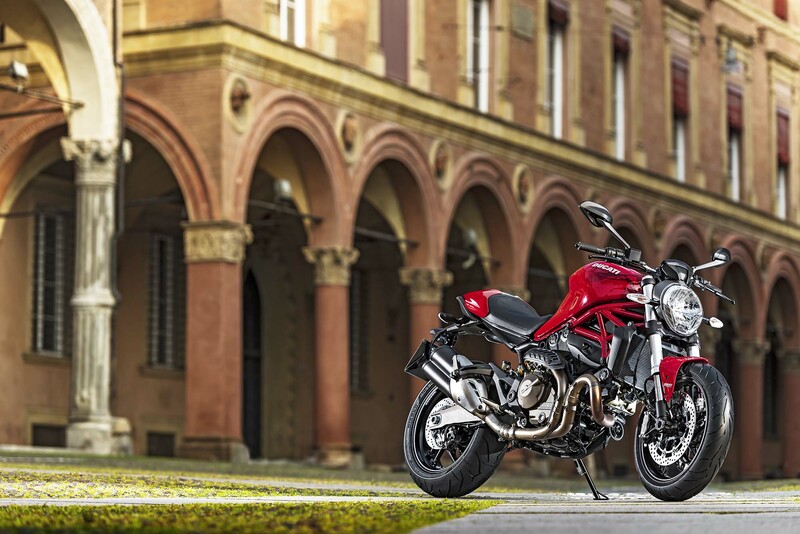 Once we saw the unveiling of the Ducati Monster 1200 at EICMA last year, we knew it was only a matter of time before Bologna wedged its new 821cc liquid-cooled motor into a mid-size Monster machine. 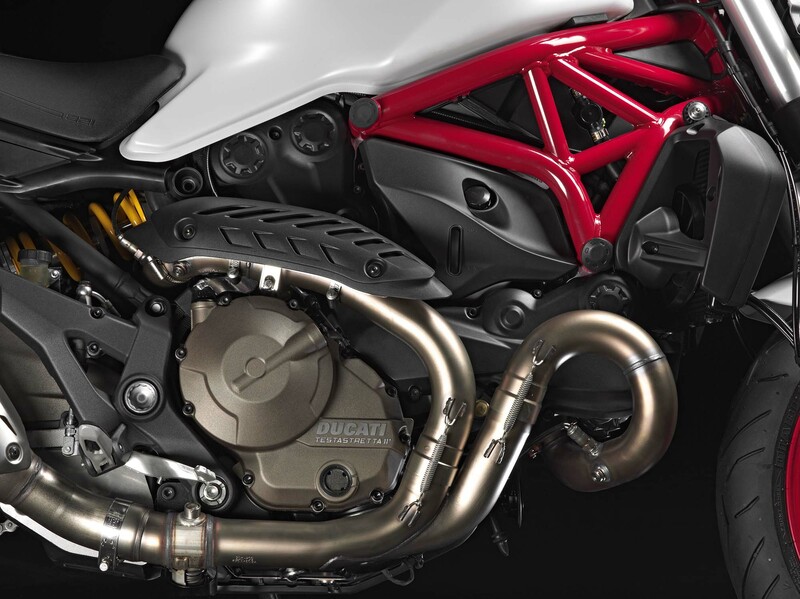 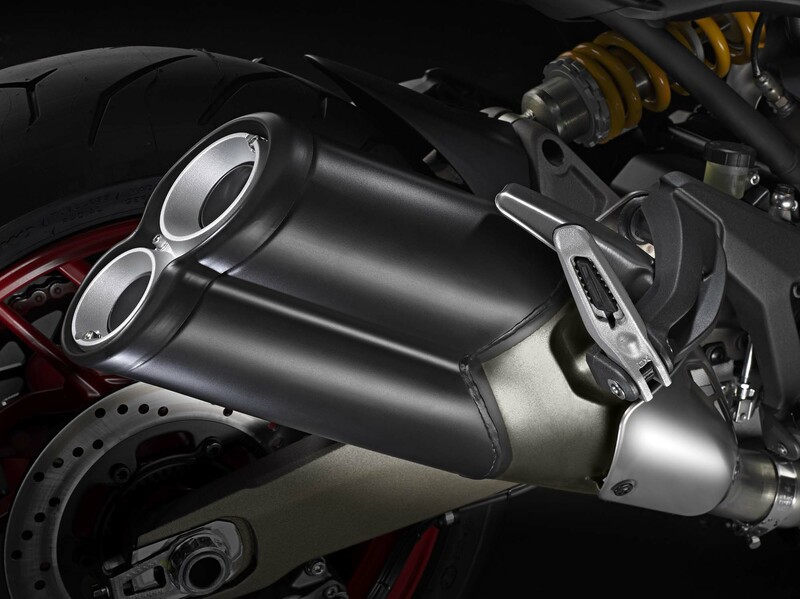 That feeling was fueled further by spy photos the 821cc Monster making their way onto the internet, and now we have confirmation of the mid-sized Monster, as Borgo Panigale has officially launched its Ducati Monster 821. 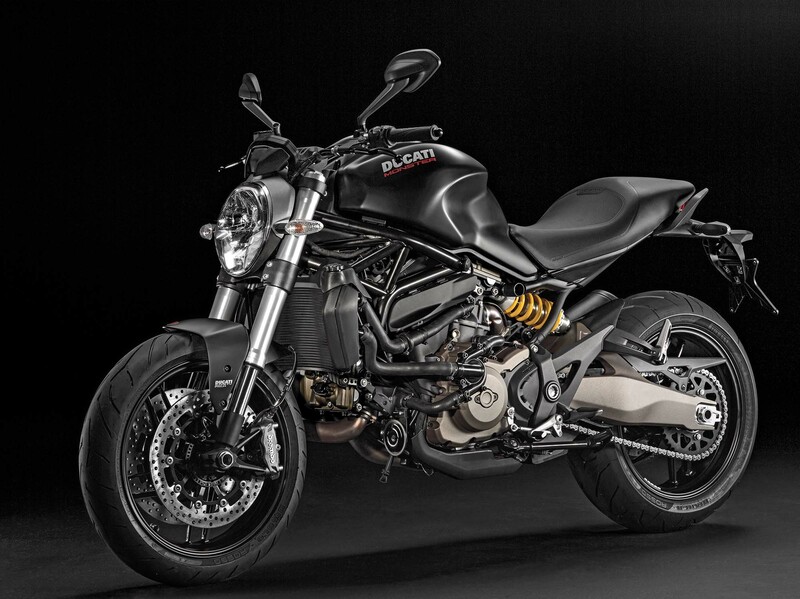 Borrowing the 821cc Testastretta 11° engine (112hp and 65.9 lbs•ft) found on the newly revised Ducati Hypermotard, and its cousin the Ducati Hyperstrada, the Monster 821 continues Ducati’s trend to repurpose powerplants for multiple product families. 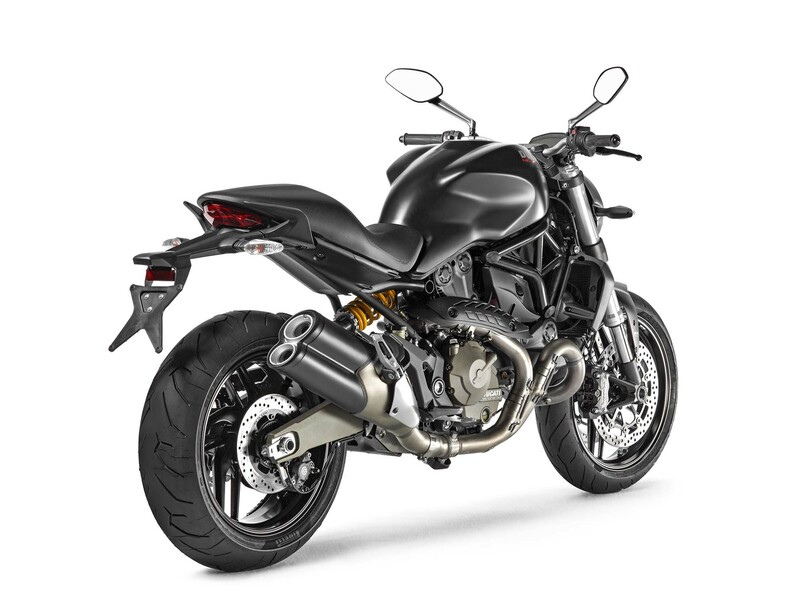 The Ducati Monster 821 also continues Bologna’s new trend of building its lower-spec midrange motorcycles with double-sided swingarms, to help further stratify and differentiate its models. 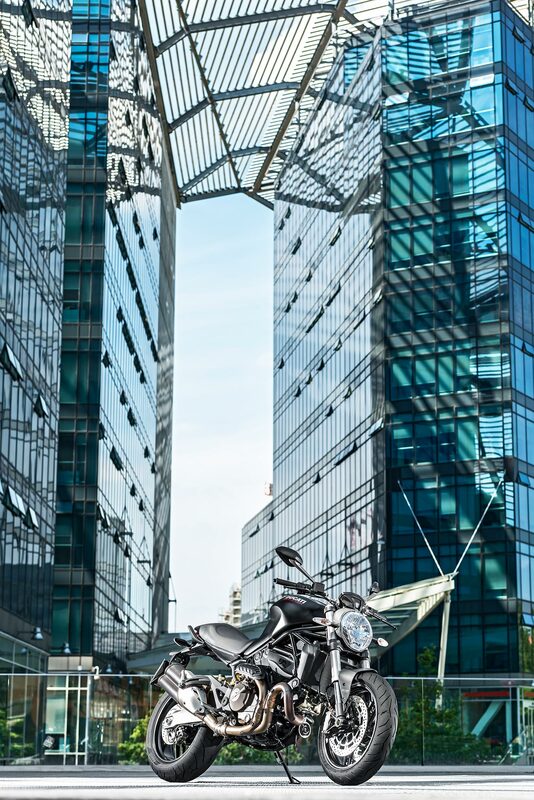 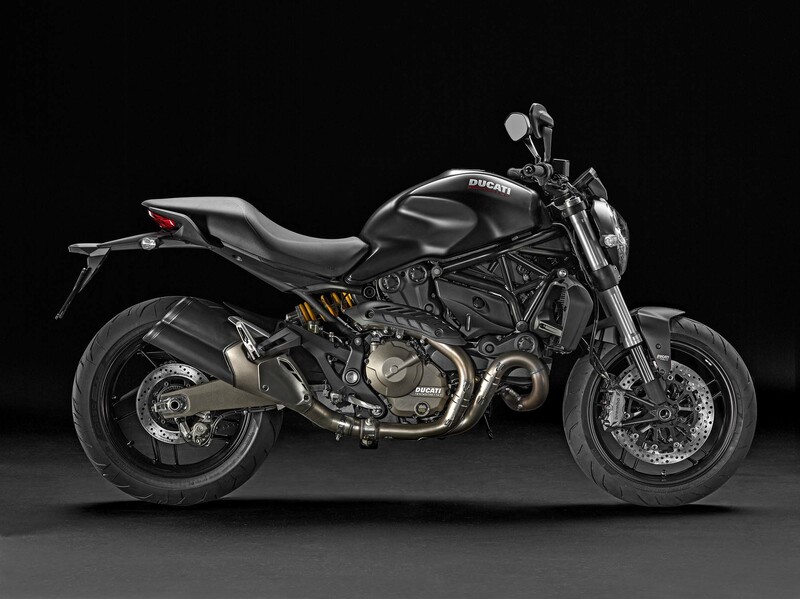 Tipping the scales at 395.7 lbs (dry), the Monster 821 is just over 5 lbs lighter than its 1200cc sibling, despite the 18hp difference between the two. 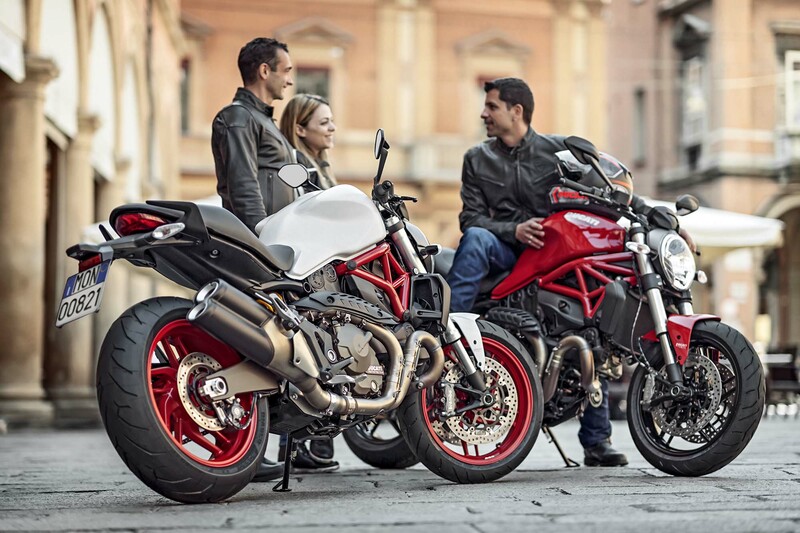 That doesn’t mean that value doesn’t come with what will likely be Ducati’s best selling model this year, as the Ducati Monster 821 comes with an eight-way adjustable traction control system, three-level anti-locking brakes system, and a three-level RbW riding mode system. 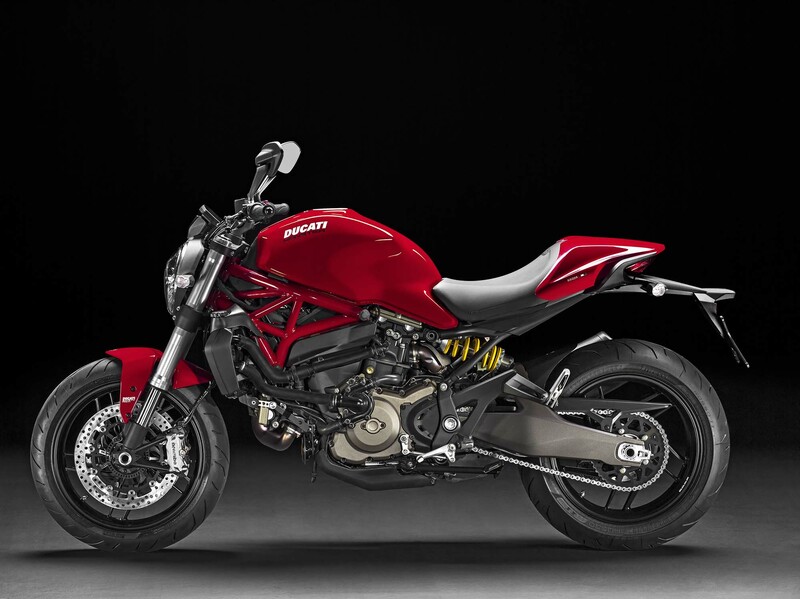 Ducati says to expect the Monster 821 to be at dealerships by July 2014 (available in Red or White), with a “Dark” option available as well (shown below). 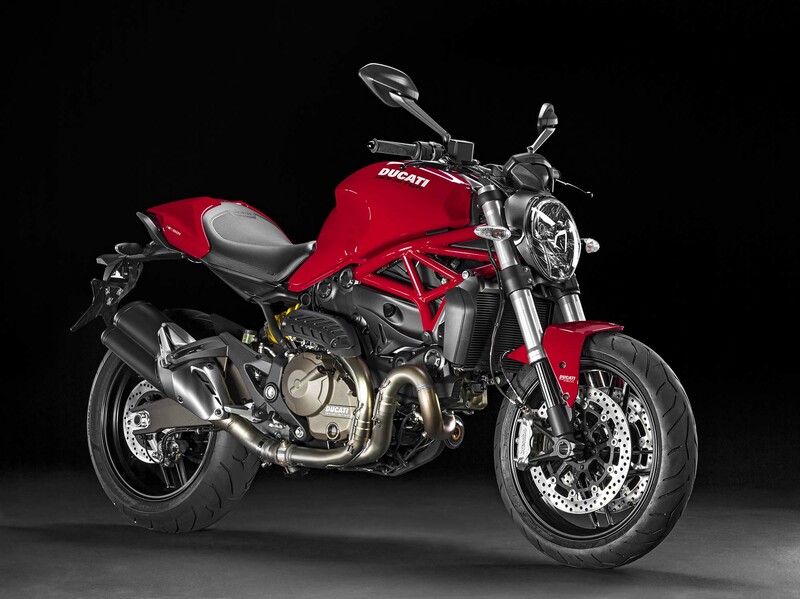 US pricing is set at $11,495 for the Monster 821, while the Monster 821 Dark will sell at $10,995. 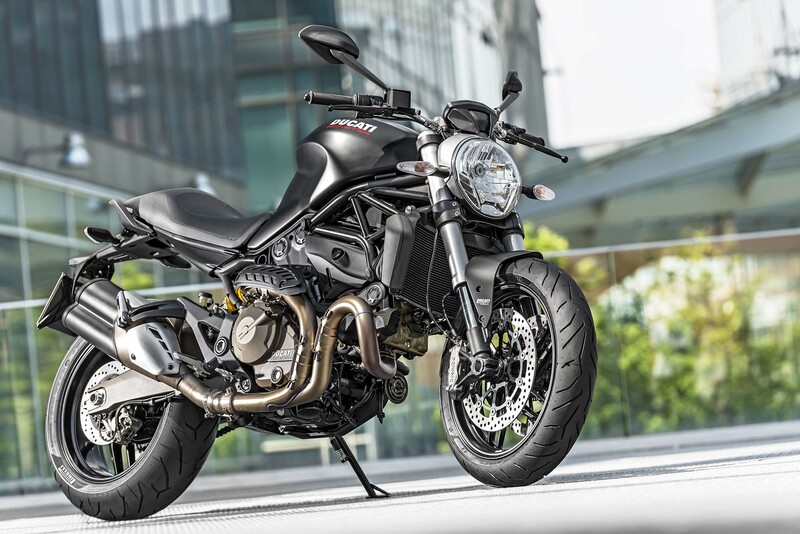 For tiered-licensing countries, the Ducati Monster 821 has been specially restricted to 25kW (33hp) for Switzerland, and 35kW (47hp) for other participating countries.